Persian rice is known for its superb taste. However, it is usually white rice and has quite a lot of oil. 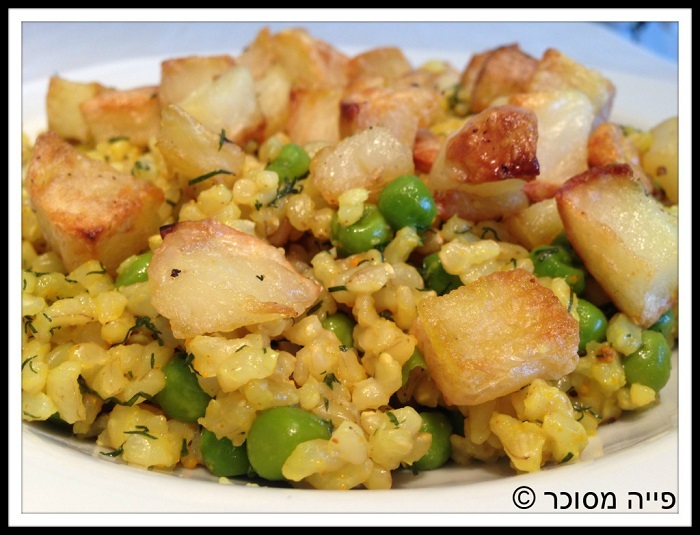 Here’s a healthier version with whole organic rice and oven made potatoes. 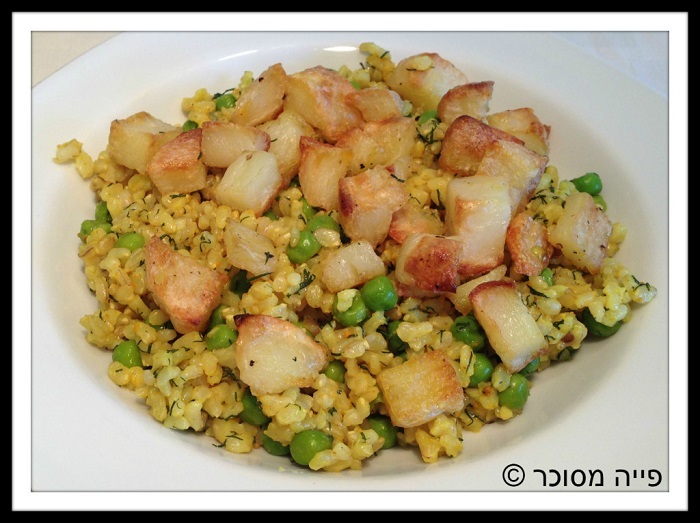 The preparation of Persian rice also includes a number of steps – cooking the rice in water (like pasta), moving to a different pan for the second part of the cooking (with the spices and potatoes. I simplified this as well. While I still need to bake the potatoes, I find oven-baking much easier than cooking. The bonus in making this whole Persian rice is that it improves a day after it was cooked and thus can be prepared in advance. 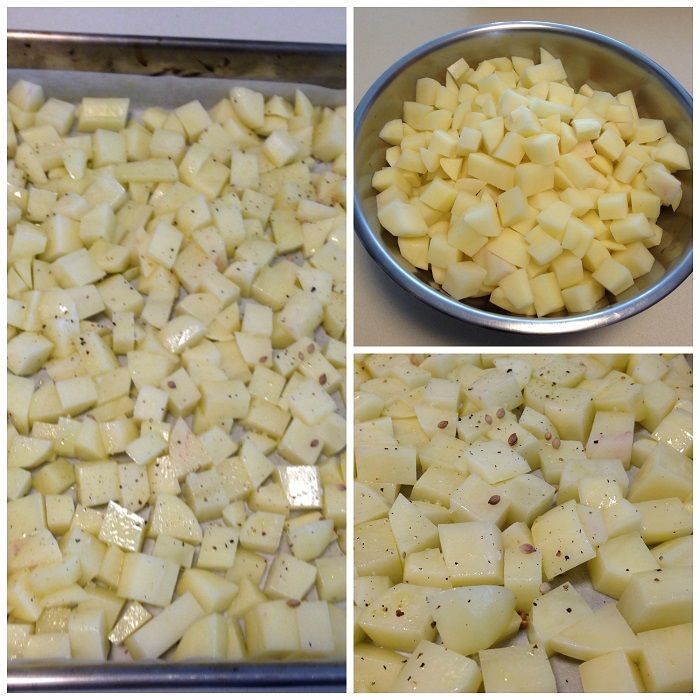 Slice the potatoes into small squares, sprinkle some olive oil, salt and pepper. Bake for 30 minutes in 180 Celsius. You can continue baking a little more if you like them brown. Don’t dry them too much. 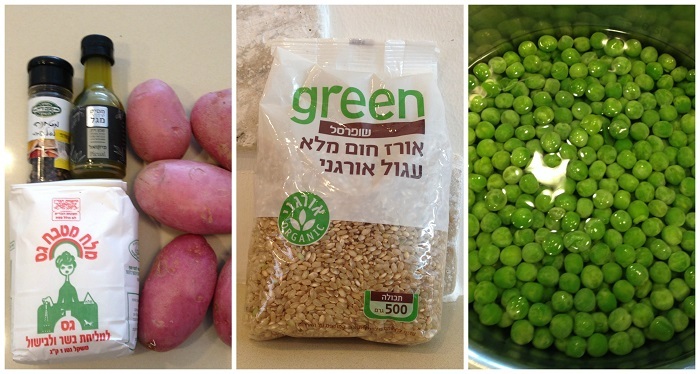 While the potatoes are in the oven, cook the rice according to the instructions. 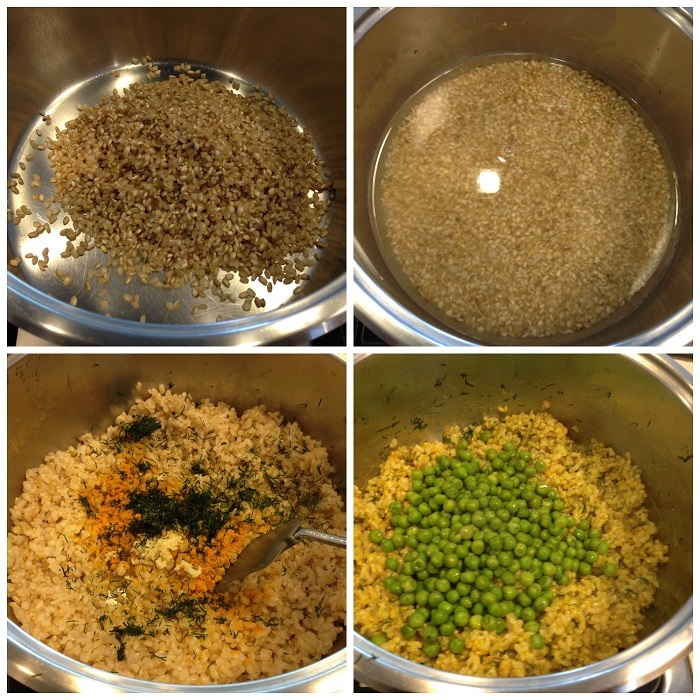 I fry it for 2 minutes without oil, add water and cook for about 45 minutes until the water dissolve. Then, I add the seasoning and the pees, steer, and cover for 10 minutes. 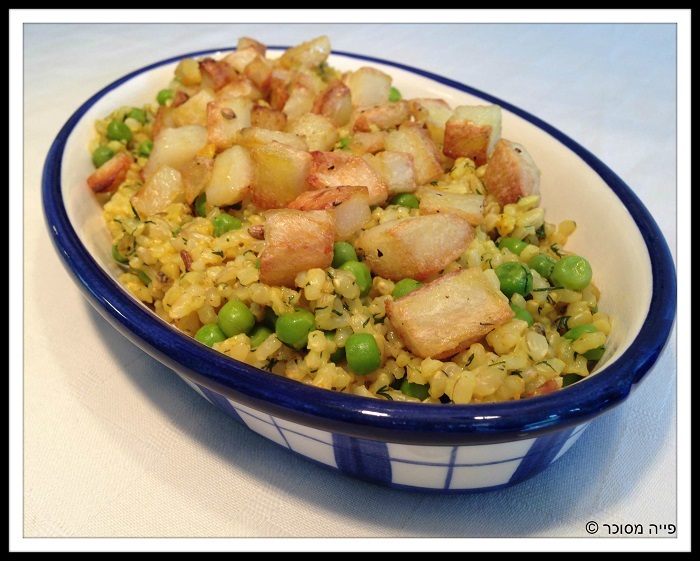 Serve the rice warm with the potatoes on top. You can reheat as necessary.